Sachin H. Jain, MD, MBA is President at CareMore Health System, an innovative health plan & care delivery system with $1.2B revenue & over 100,000 members in 8 states. He is also consulting professor of medicine at the Stanford University School of Medicine and a contributor at Forbes. 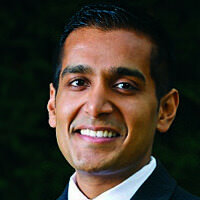 Dr. Jain was previously CareMore's Chief Medical Officer (CMO) and Chief Operating Officer (COO). Prior to joining CareMore, Dr. Jain was Chief Medical Information & Innovation Officer at Merck & Co. He also served as an attending physician at the Boston VA-Boston Medical Center and a member of faculties at Harvard Medical School and Harvard Business School. From 2009-2011, Dr. Jain worked in the Obama Administration, where he was senior advisor to Donald Berwick when he led the Centers for Medicare & Medicaid Services (CMS). Dr. Jain was the first deputy director for policy and programs at the Center for Medicare and Medicaid Innovation (CMMI). He also served as special assistant to David Blumenthal when he was the National Coordinator for Health Information Technology. Dr. Redberg is a member of the Medicare Payment Advisory Commission, which advises Congress on Medicare payment issues. She also served on the Medicare Evidence, Development and Coverage Advisory Committee from 2003-2006 and was reappointed in 2012 as Chairwoman of MEDCAC. 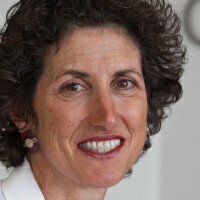 Dr Redberg is a member of the California Technology Assessment Forum, the Medical Policy Technology and Advisory Committee, and the Food and Drug Administration Cardiovascular Devices Expert Panel, and is a consultant for the Center for Medical Technology Policy. She has given Congressional testimony multiple times in hearings related to the issue of balancing safety and innovation in medical device approvals. Dr. Redberg worked in the office of Senator Hatch and with the Senate Judiciary Committee on FDA-related matters during her tenure as a Robert Wood Johnson Health Policy Fellow, 2003-2006. Dr. Redberg was a member of the Institute of Medicine’s Learning Health Care Committee, which produced the report Best Care at Lower Cost in September 2012. She is currently a member of the National Academy of Medicine Committee on A Learning System for Military Trauma Care. She chaired the AHA/ACC Writing Group on Primary Prevention Performance Measures and is a member of the American College of Cardiology’s (ACC) Clinical Quality Committee and serves on the Quality in Technology Work Group. She is on multiple technology assessment boards, including the Blue Cross Blue Shield Medical Advisory Panel and the California Technology Assessment Forum, as well as the Institute of Clinical and Economic Review Advisory Board. Michael L. Millenson, president of Health Quality Advisors LLC, Highland Park, IL, is a nationally recognized expert on making American health care better, safer and more patient- centered. He is the author of the critically acclaimed book, Demanding Medical Excellence: Doctors and Accountability in the Information Age, and is also an adjunct associate professor of medicine at Northwestern University’s Feinberg School of Medicine. National Public Radio called him “in the vanguard of the movement” to measure and improve American medicine. As a consultant, Millenson has been involved with strategic planning, designed a website to aid consumer care decisions and developed a tool to improve doctor-patient communication. His clients have included provider organizations, health plans, drug and device companies, entrepreneurs and non-profits. In the policy realm, he has authored numerous white papers and testified before Congress and the Federal Trade Commission. He is also co-principal investigator on a grant examining leading edge, patient-centered practices by ACOs. Prior to starting his own firm, Millenson was a principal in the health-care practice of a major human resources consulting firm. Before that, he was a health care reporter for the Chicago Tribune, where he was nominated three times for a Pulitzer Prize. Millenson has lectured at the National Institutes of Health and served as a faculty member for the Institute for Healthcare Improvement. He co-authored a case study for the Harvard Business School, is a regular contributor to Forbes.com and has written for publications ranging from the British Medical Journal, Journal of General Internal Medicine and Health Affairs to The Washington Post and USA Today. He is a former board member of the Society for Participatory Medicine and the American Medical Group Foundation and currently serves on the editorial board of the American Journal of Medical Quality. Ceci Connolly, a nationally-recognized health care leader, took over as president and CEO of the Alliance of Community Health Plans in January 2016. In her role, she works with some of the most innovative executives in the health sector to provide high-quality, evidence-based, affordable care. She is passionate about transforming America’s system to deliver greater value to all.